As a subsidiary of Menu Srl, IB Food is the sole distributor of Menu’s extensive range of excellent high-quality sauces for chefs. Menu sauces are supplied in ceramic-lined tins which preserve the freshness of the sauce and ensure that delicate flavours aren’t tainted. You can use the Menu sauces straight from the tin, or use them as a base for your own sauces, enabling you to be creative without taking up all your time, and speeding you along the way to providing your customers with a unique dining experience. 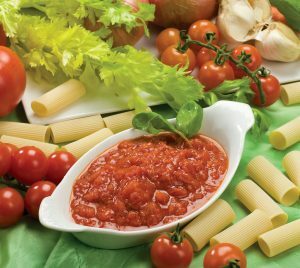 The most basic of the Menu sauces is Pomodorina, a rich tomato-based sauce which can be used as-is, for a simple spaghetti Milanese, or turned into an unlimited range of tomato-based sauces with the application of additional ingredients and your own ingenuity. 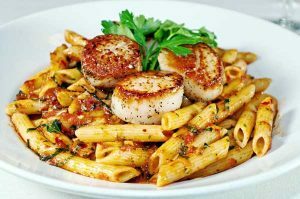 Other sauces in the range include Isolana, Zingara, Carbonara, Pesto, Arabiatta, Condimento con Vongole, Porcini, Ragu/Bolognese… sufficient high-quality choices to make your time in the kitchen more productive, and your customers hungry for more.